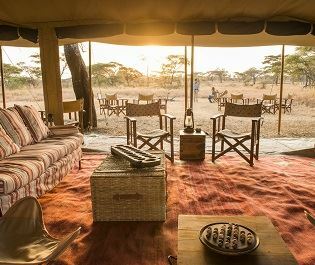 Masai warriors guard the camp as wildlife is always wandering past. 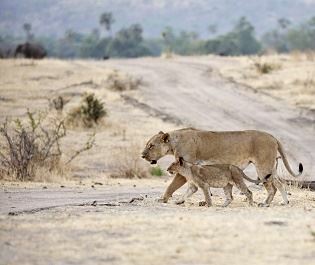 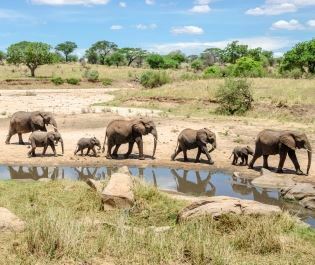 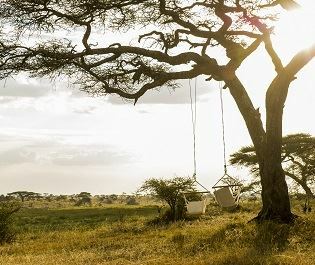 From migratory herds to resident lions and elephants, you’re really amongst the drama of the Serengeti. 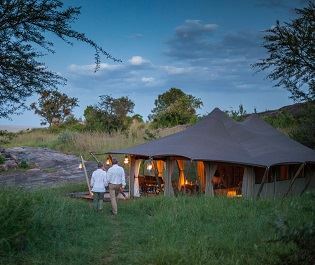 We love listening to nature’s soundtrack after dusk, the thud of hooves complemented by throaty roars and an elephant’s trumpet. 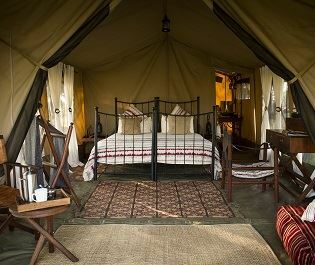 Tents are spacious are expertly appointed, with large comfortable beds and bathrooms. 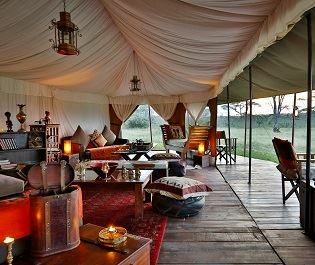 It’s beyond ‘glamping,’ it’s luxury living on one of the world’s most expressive landscapes. 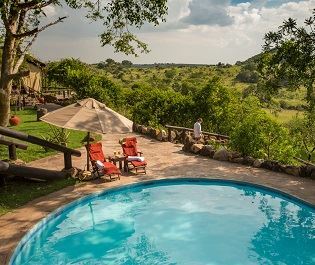 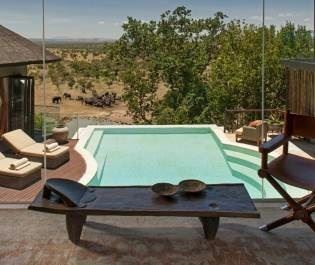 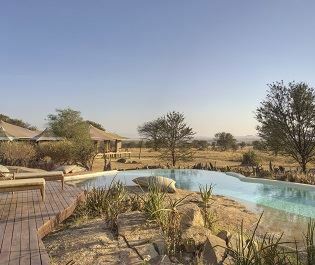 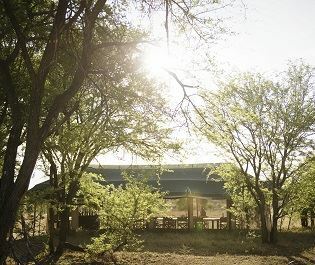 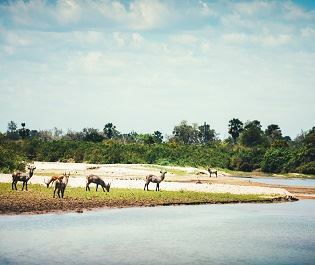 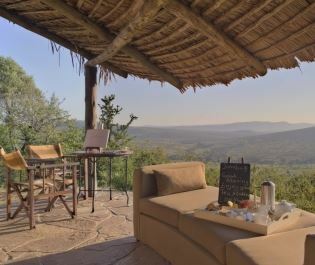 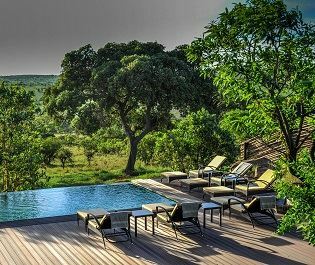 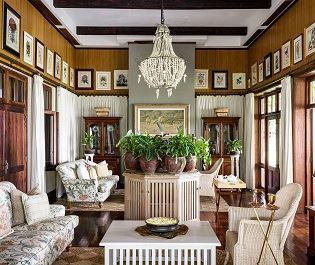 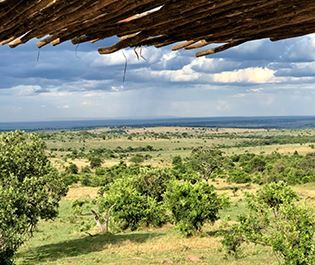 A safari bar and lounge area overlooks the plains and there are lots of captivating animals grazing on the plains below. 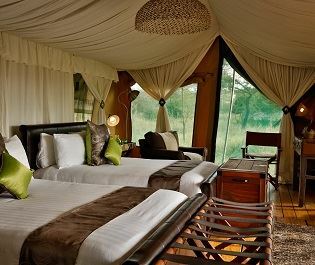 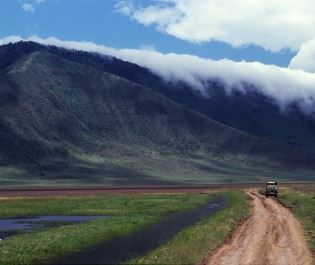 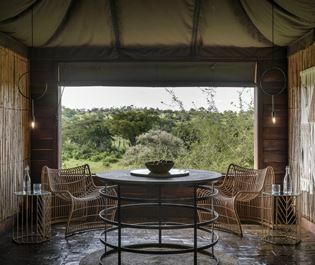 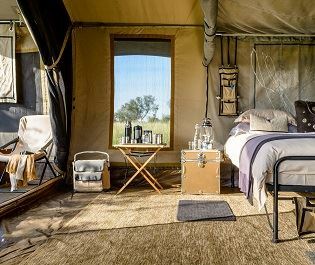 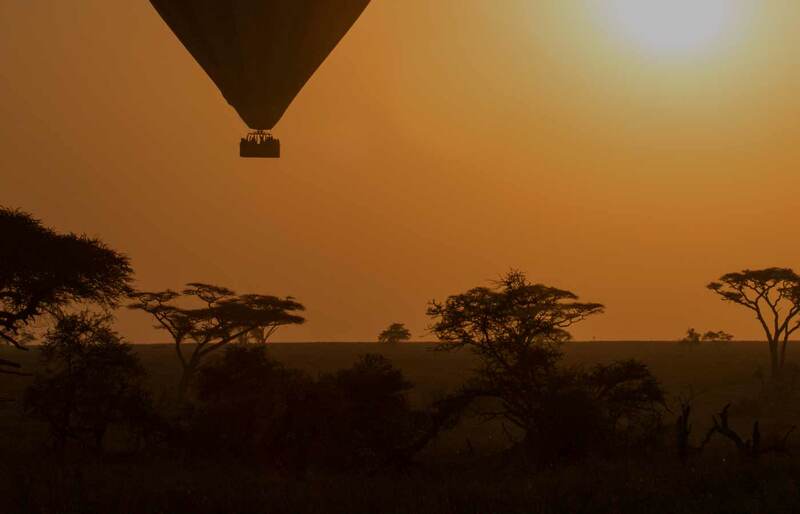 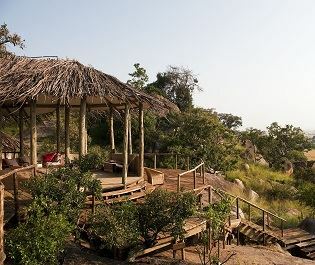 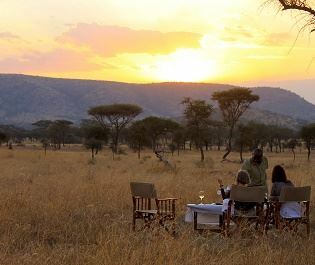 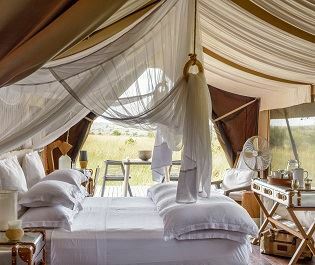 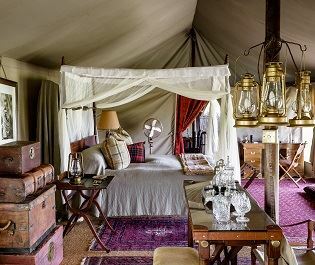 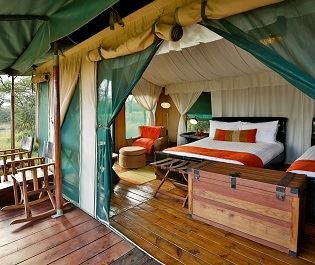 For discovering the heart of the Serengeti experience, this intimate camp is difficult to beat. 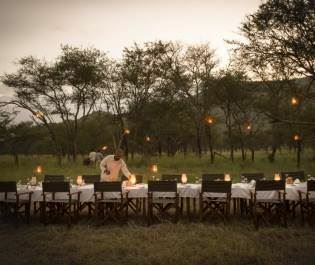 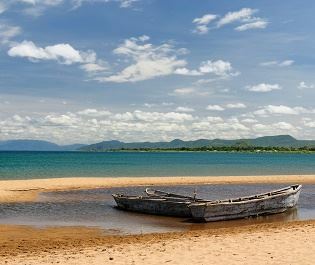 All meals are included and Asanja Africa can work flexibly dependent on your itinerary. 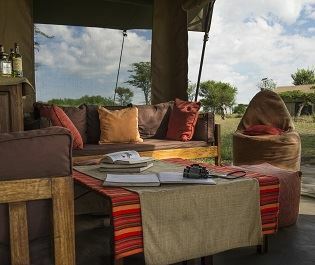 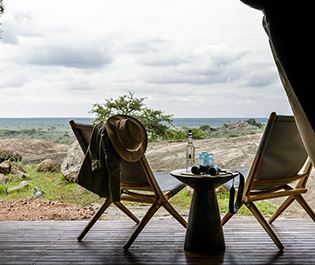 The camp offers game drives if you’re on a fly-in safari, while it’s also good for an overland safari that combines the Serengeti with Tanzania’s other famous destinations. 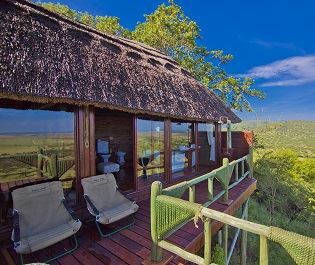 Asanja Africa is within reach of the great wildebeest migration from mid-December to April. 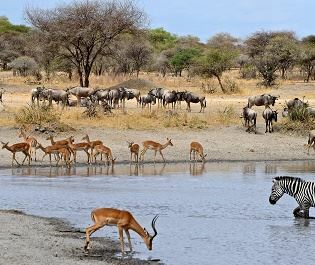 Predicting exactly when the herds pass is impossible, however, the central location puts you within easy reach of this natural phenomenon.